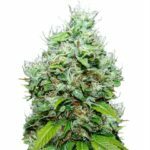 An Amsterdam classic, Amnesia Haze Marijuana seeds are highly prized and sought after, returning strong plants that grow between 80-200 cm tall and are capable of producing good yields of high quality buds. Whether you are a beginner or a more experienced Marijuana grower, grown indoors or outside, Amnesia Haze grows well with great bud production and heavy yields. Expect average yields of approximately 550 grams per square meter due to its dominant Sativa genetics. As maturity approaches the buds will take on a lime-green color with orange hairs. The calyxes will swell and become coated in an abundant layer of crystals. 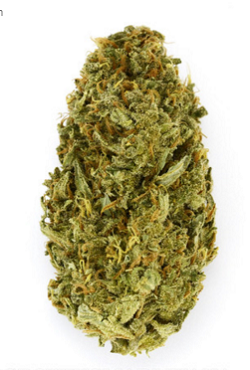 With THC levels of 21%, Amnesia Haze is a strong, potent form of Marijuana, however, the high is mellow, clear and uplifting, and with only a 20% Indica influence, it won’t knock you out for hours. Recreational users love it’s sweet, spicy flavor, while medical marijuana users report it as helpful for anxiety, stress, PMS and ADHD to name but a few. Forget about the worry of male plants, these Amnesia Haze Marijuana seeds are all feminized, producing only female plants. 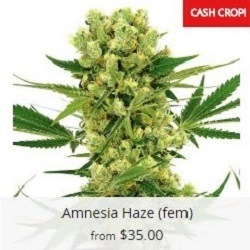 You can buy Amnesia Haze Marijuana seeds in packs of 3, 5 and 10 feminized packs. Each one guaranteed to germinate into the highest quality female Amnesia Haze Marijuana plant. 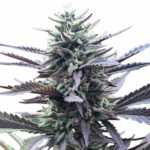 Find How To Buy Amnesia Haze Marijuana Seeds.